HOLIDAY: I Scream, You Scream! 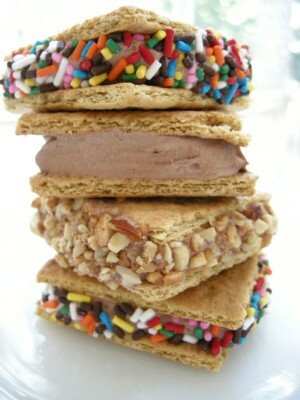 It's National Ice Cream Sandwich Day! This summer treat dates back to 1900 and was created in New York City. I've been eyeing this "almost no sugar" variation using graham crackers, cool whip, pudding, and milk. I think Stella will have fun making them. I'm not sure she'll have the patience to wait for them to set, though. that looks so yummy! For some odd reason, I've been craving ice cream sandwhiches for the last few days! Sadly, Kroger doesn't have any that good! Aghh! How did I miss this holiday? I've always wanted to make them myself but have yet to actually do it!